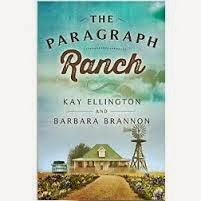 Kay Ellington and Barbara Brannon's “The Paragraph Ranch" is a gripping literary fiction novel about place, family, and unforeseen obstacles. The book follows Dee, Ph.D., a middle-aged writer just given the opportunity her writing needs with a writing fellowship in Massachusetts. Before Dee can take the opportunity, she is forced to return to West Texas to care for her ill mother. Dee must deal with this major transition in her life and the lack of opportunities, so she thinks, it brings. I would definitely say this is a character-driven novel. You have three generations of women (Dee’s mom, Dee, Dee’s daughter) trying to understand each other in an environment complicated by difficult situations. One of my favorite things about the novel is that the authors do an excellent job of making the reader feel the influence of the West Texas setting. Everything from the description of the places to the vernacular contributes to the reader's feeling of being there and understanding it. This is a must-read for anyone who likes reading about family and a character who makes the best of difficulty circumstances.